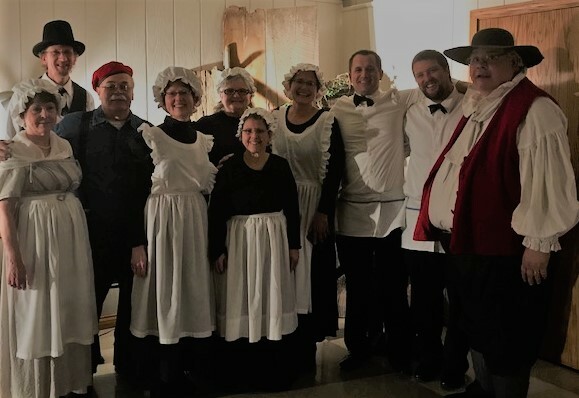 The Versailles Area Museum hosted its annual Historic Dinner recently. “An Evening in France” was this year’s theme. The Father Jackle Room was turned into a French Barn in the Alsace region. The historic figure used was Franciosi (Franklin) Grisez. Guests were greeted at the door by a local villager (Ron Kramer). Madame Grisez (Judy Treon) served as hostess for the evening. Dressed in an Empire gown of the early 1800’s, Madame welcomed her guests seating them at a rough long table filled with unique items of the period including small pots of lavender, salt cellars, and spoon holders. Delicious breads, oils, cheese, pate, and root vegetables presented on rough boards were the first course. Each place was marked with linen napkins, dinner plates, a knife and a fork. Candles in hurricane globes provided light down the table. Unmatched wine glasses and canning jars held wine, ciders, and water poured from stone pitchers. The wait staff was dressed in period long black dresses with starched aprons and mop caps. Each course was explained as it was being served. 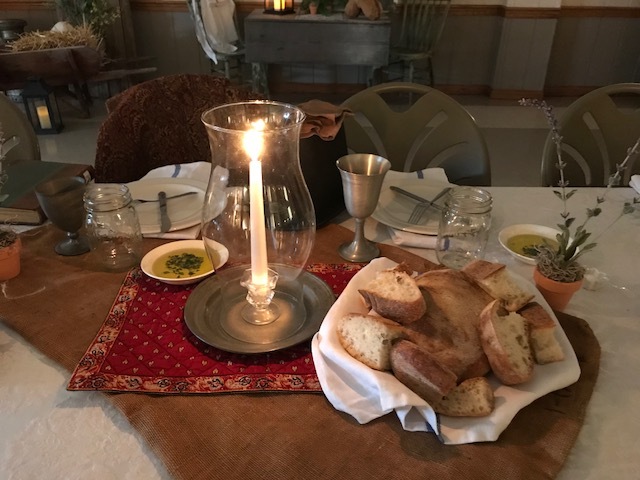 The banquet table was filled with foods from various regions of France to choose from including beef bourguignon, spinach salad, rigatoni, and a Cassoulet-style sausage ‘n’ beans. 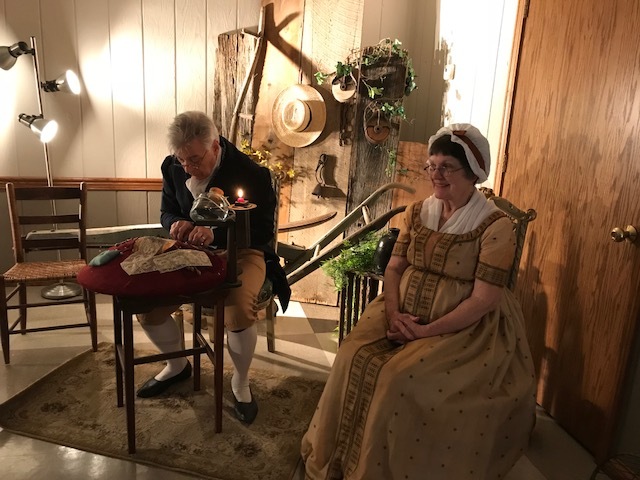 Monsieur and Madame La Faux (Tim and Kathleen Nealeigh) were there to show their craft of lace making prior to the French Revolution and now laying low as the Gentry Class were still at risk in post-revolutionary France. At dinner, Monsieur La Faux was invited by Madame Grisez to offer the prayer in both French and English as well as the toast to hospitality, friendship, and good food! Monsieur La Faux read from a most interesting diary about the famous French Five Hundred who came to Ohio at Gallipolis and Marietta to make French settlements and how they were tricked into the voyage. Jean Claude (Jim Kelch) shared some bits of history from the work of noted author of French Ancestor Mary Ann Doyle. He also shared interesting facts about the “French Crescent” and the change of names from Jacksonville to Versailles and the tale of the strange pronunciation of our villages name. Music of the early French style was prepared by Ron and Elaine Marchall and filled the “barn” with sounds of old France. Many farm items decorated the room to give the feeling of being there. Desserts were served in long trays for the tables filled with fresh fruits, dessert cheeses, chocolates. This was paired with crème bru’lee and a delicious raspberry dessert wine. The wonderful evening ended with the silent auction of a wonderful gift basket from the Versailles Winery. 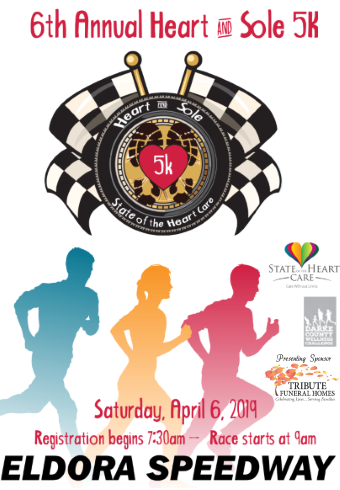 We want to thank K’s Catering, our sponsors, our volunteers, and our supporters who each year join us to celebrate history!